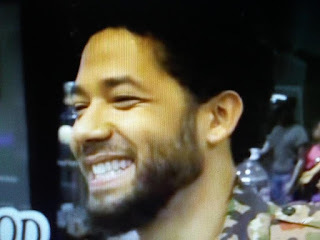 After learning Jussie Smollett told Chicago P.D. one story and TNZ another, he refuses to give up his cell in the investigation? Why? Doesn't he want to catch whoever did this? This is very odd behavior to go along with a odd story of what happened. NBC News reports "Empire" actor Jussie Smollett has refused to turn over his cellphone to detectives, who are investigating the alleged attack that sent him to the hospital earlier this week, Chicago police said Thursday.